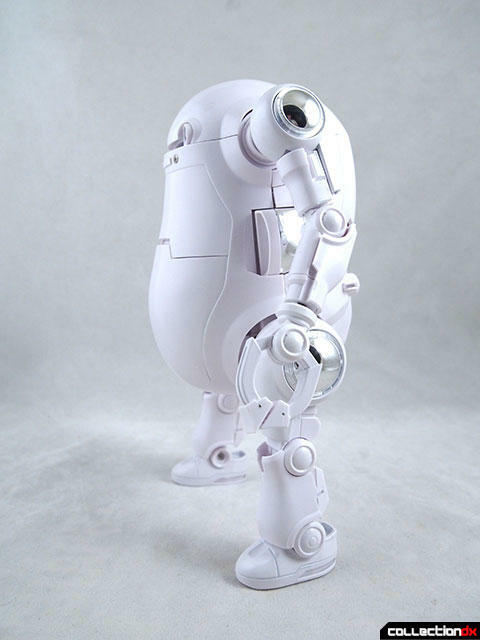 You might be familiar with the cute little Mechatro WeGo robot. 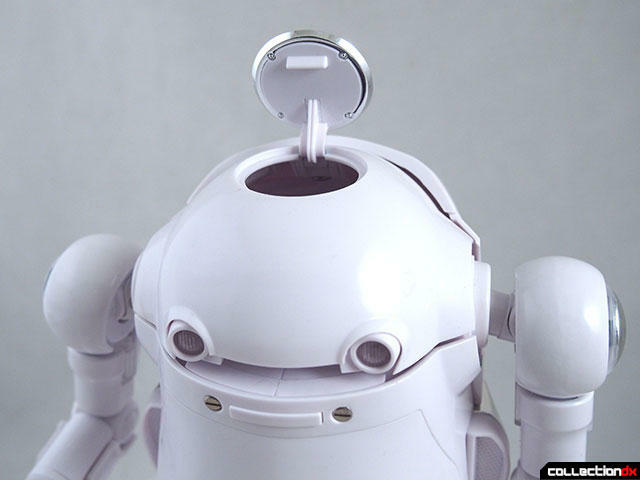 It's a well-engineered robot, but many are surprised at just how small it is. 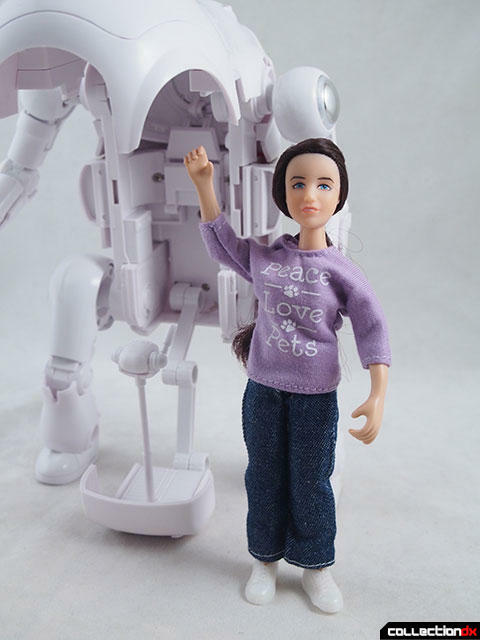 At 1/35 scale, it comes in at only a few inches tall. 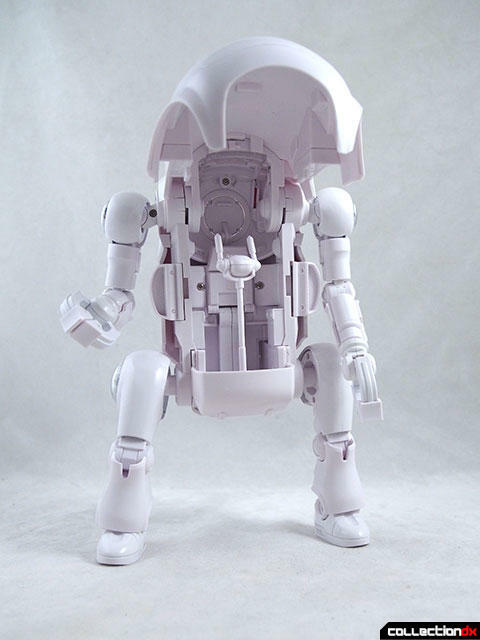 Sentinel, in conjunction with 1000toys, is releasing a larger, 1/12 scale WeGo. 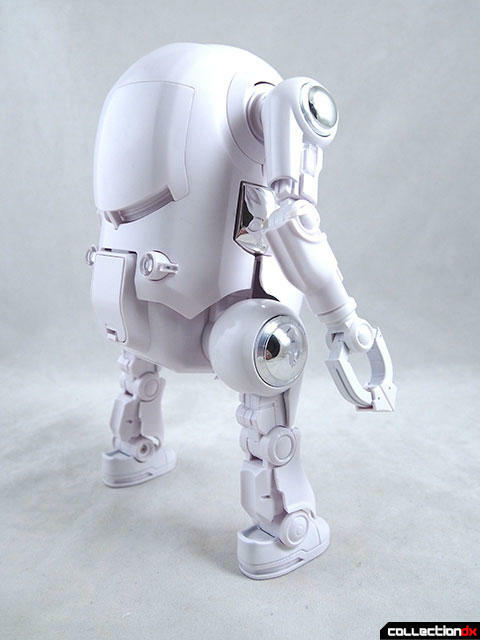 Not only will it be released in a full color version, but 1000toys hopes to release blank versions like this one for customizing. It's the same toy as the regular release, but with little paint. 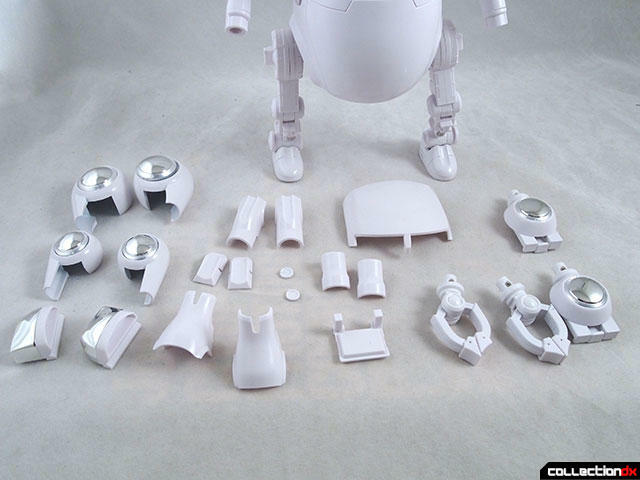 I say little, because while the plastic parts are molded in color, the metal parts are painted with a glossy white. 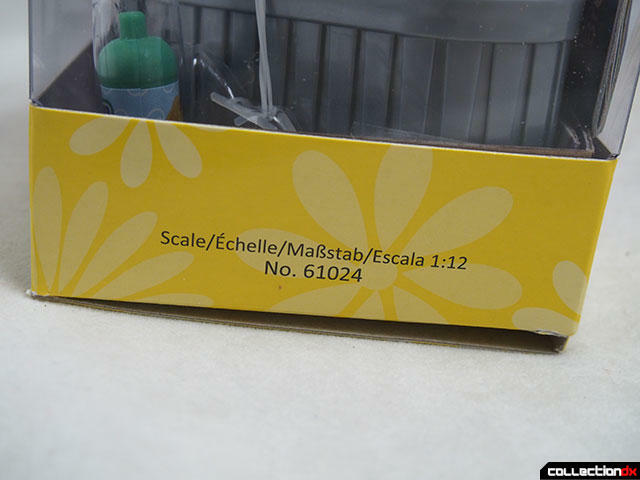 As this is a pre-production sample, there is no packaging or instructions. Also, be aware that the final production piece may differ in quality, accessories and gimmicks. 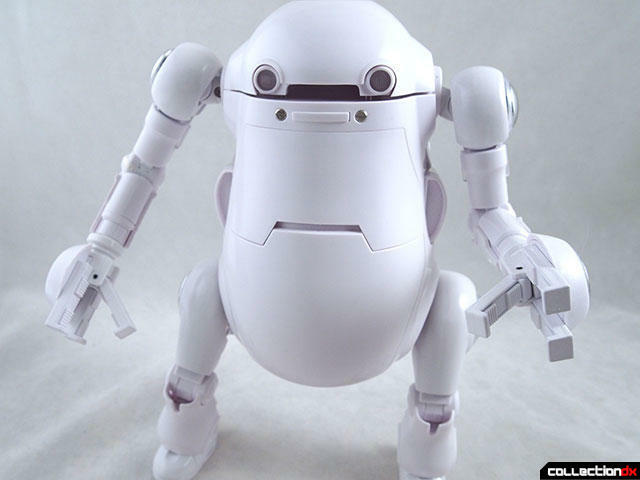 At first glance, the toy seems to be just a scaled up version of the smaller WeGo. However the toy has been completely re-engineered for the larger size. 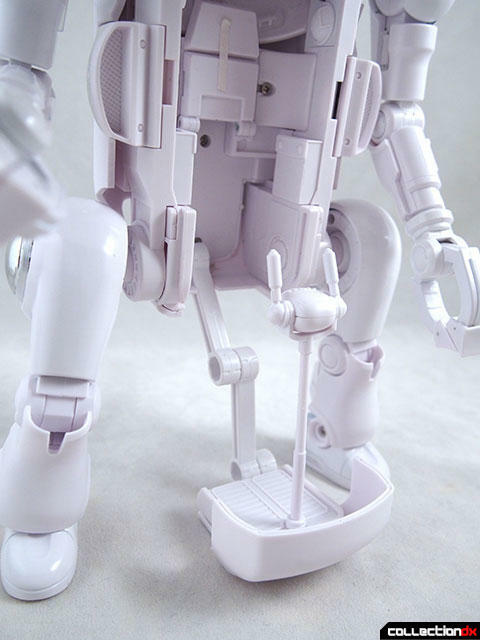 This version has more removable panels, better articulation, and even an electronic gimmick. First, as this is a pre-production piece, some things aren't ready for prime time. When i received this piece, many of the small disc covers and armor parts were taped on. These pieces are prone to falling off, and I think this is due to the tolerance required for paint. Once these parts are painted, I bet they will fit just fine. 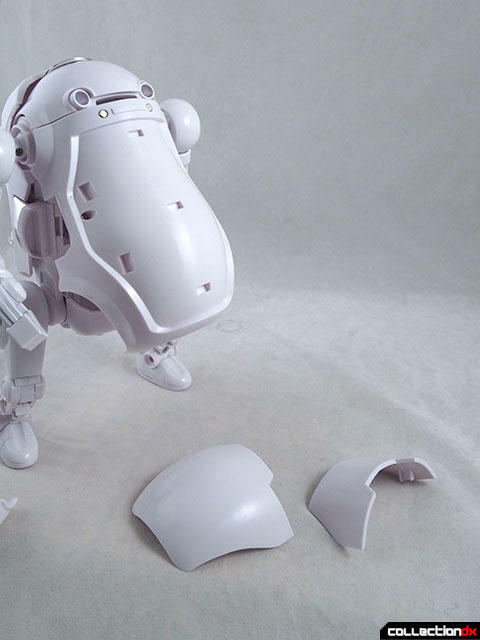 But as a blank figure, many armor parts are loose. I solved this issue on most parts by taking the piece of tape and placing it over the tab that connected the armor parts, thus creating a tighter fit. That being said, the engineering is fantastic. Check out the shoulder joint. 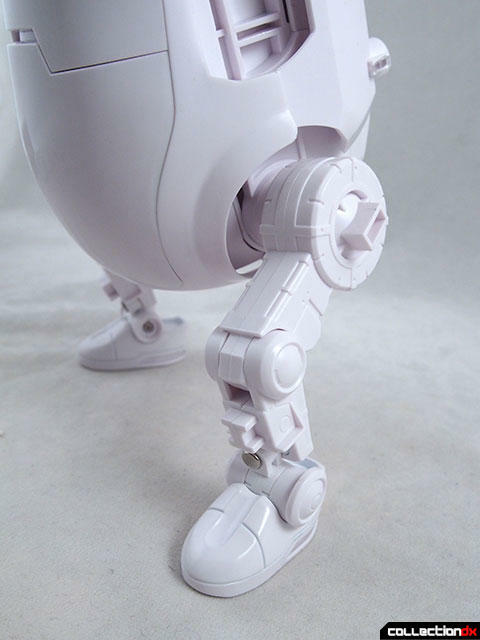 The ball joint is nice and tight while the hinge provides a great range of motion. 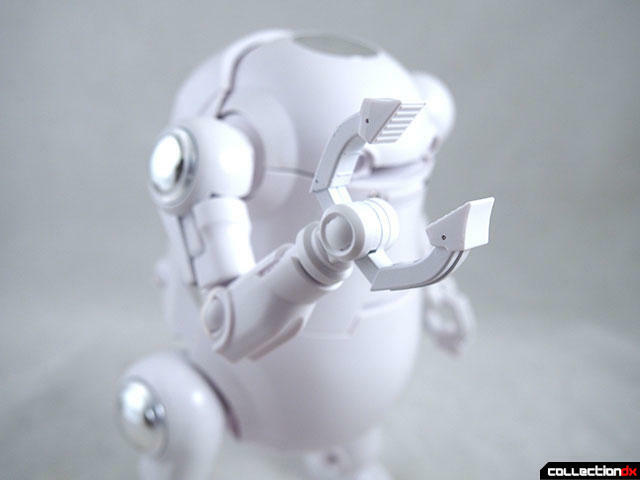 The elbows bend and swivel, and the hands rotate with movable claws. The shoulder pad and claws are diecast metal. Note the rough paint application on the claws. Hopefully that will be cleaner in the final version. Each pad on the end of the claws is movable. 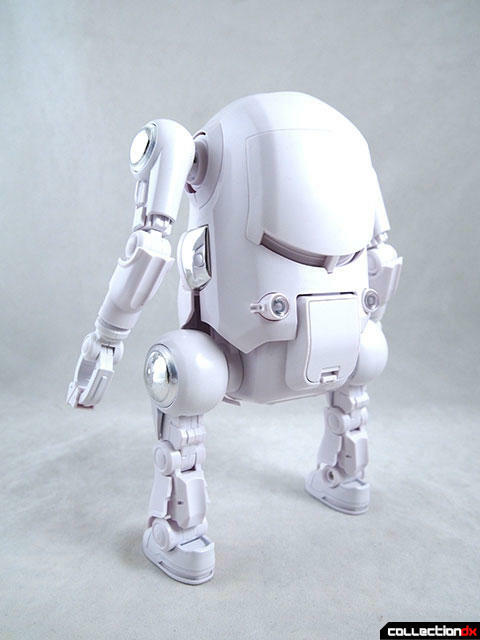 the legs are similarly well engineered, with large heavy diecast armor parts on the hips, and the base of the feet are also diecast. The jointwork here is great as well, and the ankles have a fantastic range of motion. 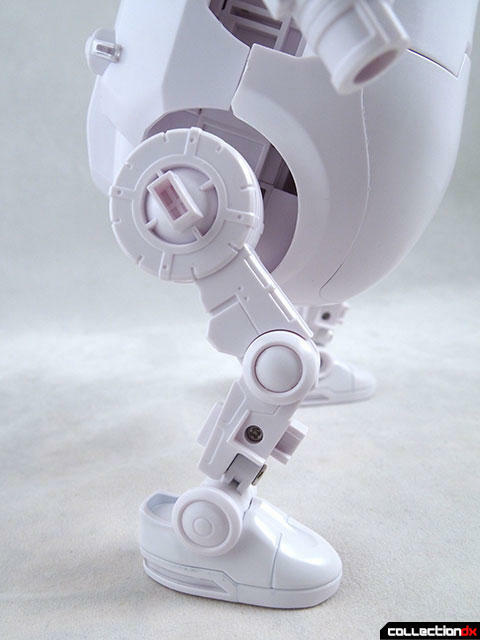 The lower leg armor parts are the most prone to falling off while posing. 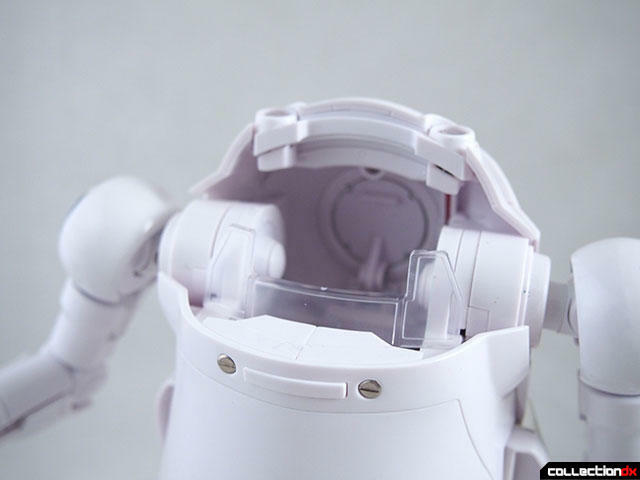 Without the armor, you get a better look at the internal mechanism. 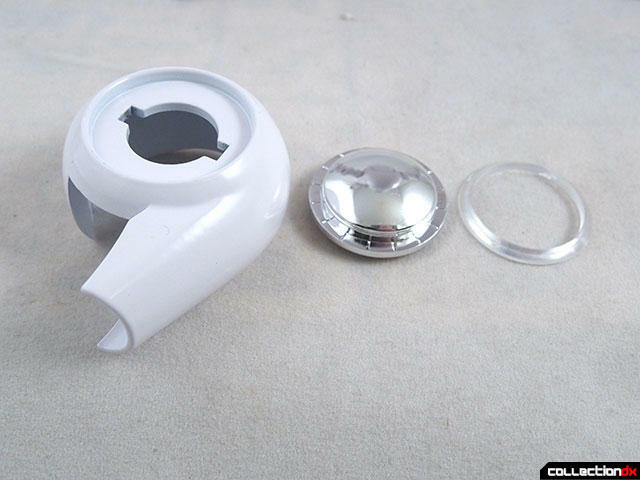 The chrome hatch on the top can be opened either by wedging in a sharp object to pry it out, or push it out from the inside. 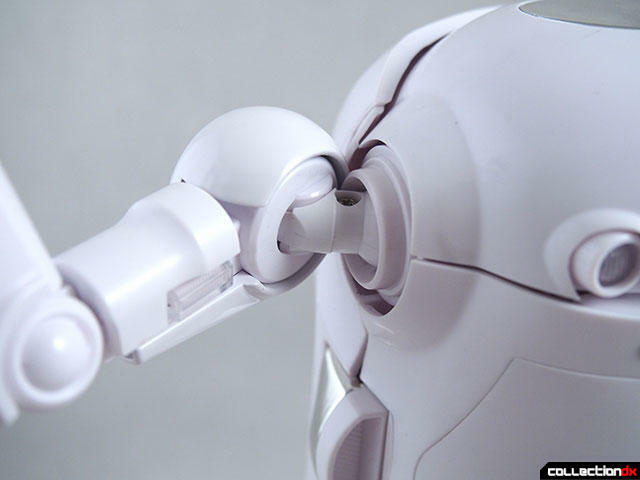 Be careful not to pop it up while the faceplate is too far back, otherwise it will get stuck and prevent you from closing the faceplate. One big difference between the smaller and larger version is that the front plates, while still removable, do not open to the pilot seat. 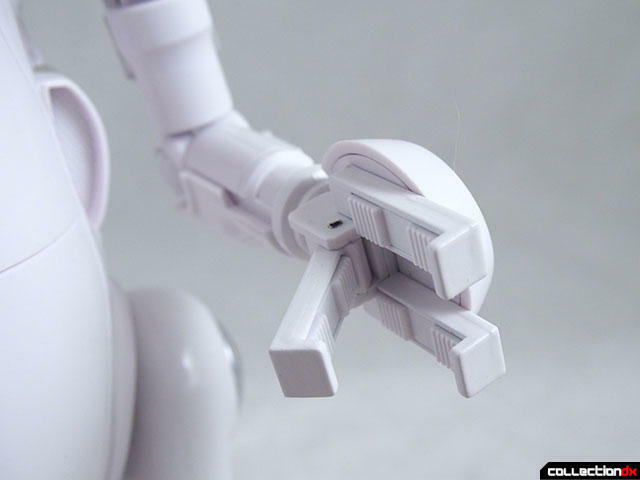 It doesn't matter, because on this version the entire front swivels up. 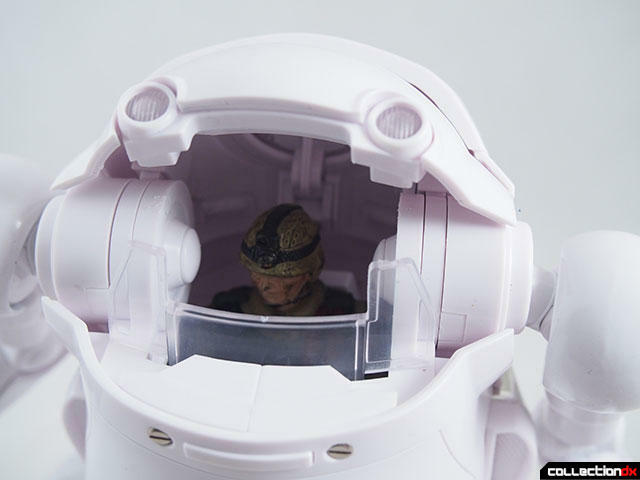 The interior is extremely detailed, and I imagine that someone who decides to take on customizing is in for a challenge. In this scale they were able to engineer a great loading platform that extends out from the cockpit. 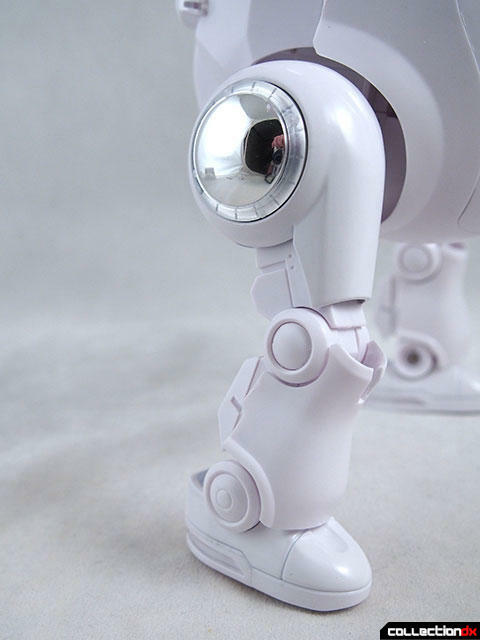 This platform is very sturdy and can be used to balance the figure when the front is up. The platform has a rotating console with two movable controls. There's also a fold-out seat on the back wall. 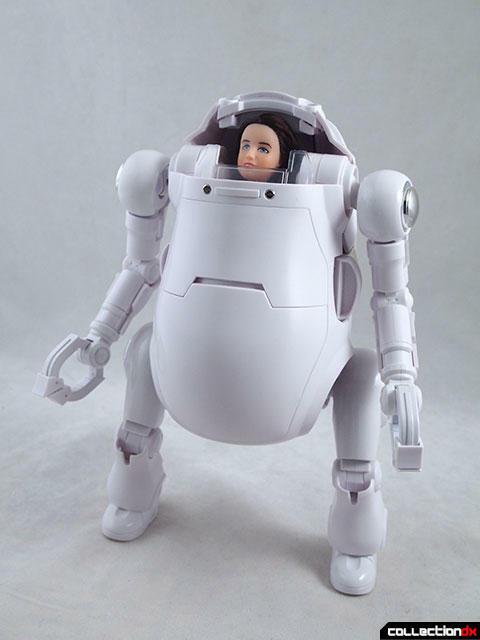 For those of you who like removable armor (it's one of our Fetishes after all) you will be happy to know that a lot of the armor is removable. 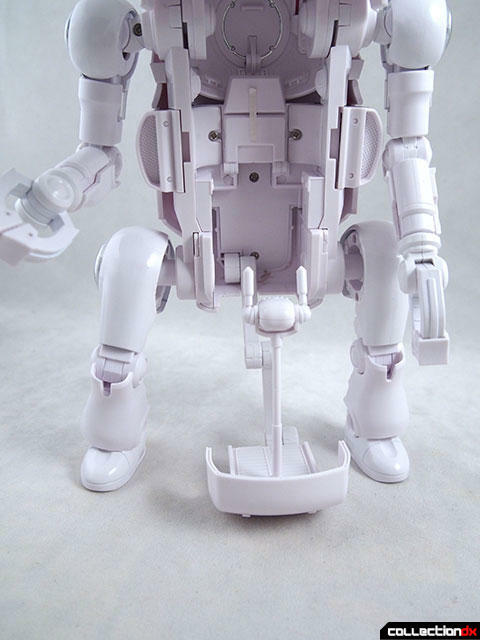 Most of the removable parts are on the limbs though, the body of the figure stays fairly intact. 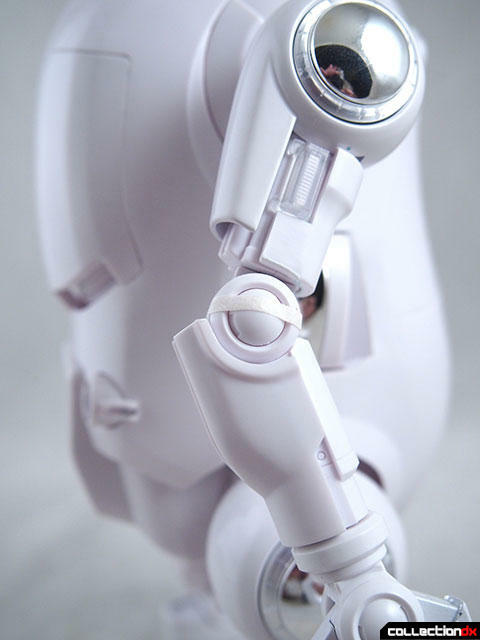 The metal parts with the chrome inserts can be broken down into their separate components. 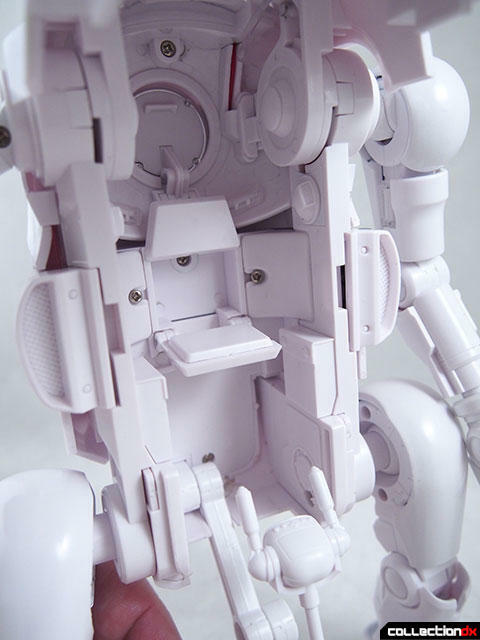 The main panel on the back is removable, revealing the mechanical insides. Also, on the back is a removable cover that reveals the control for the lights. 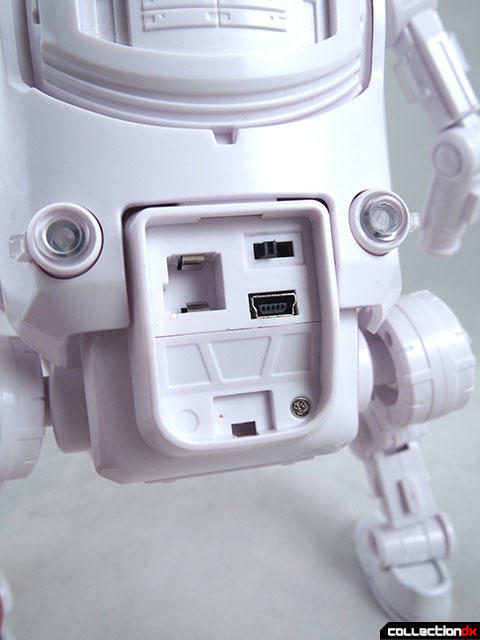 You have the option of using button sized batteries, or a USB cable. The cable is not included. 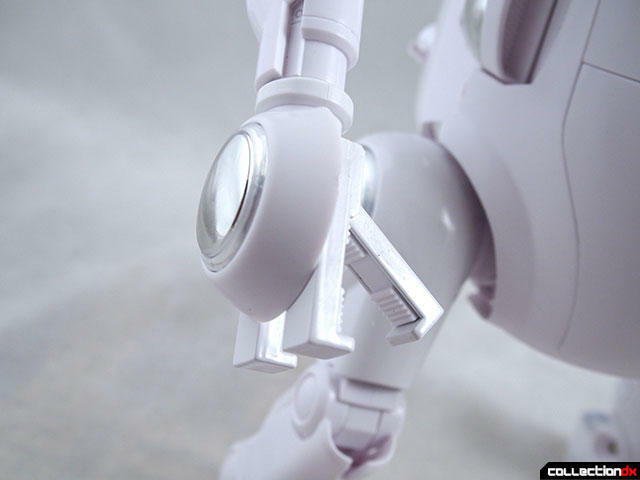 The switch controls the lights on the front and back of the figure. Some cool variant hands are included. 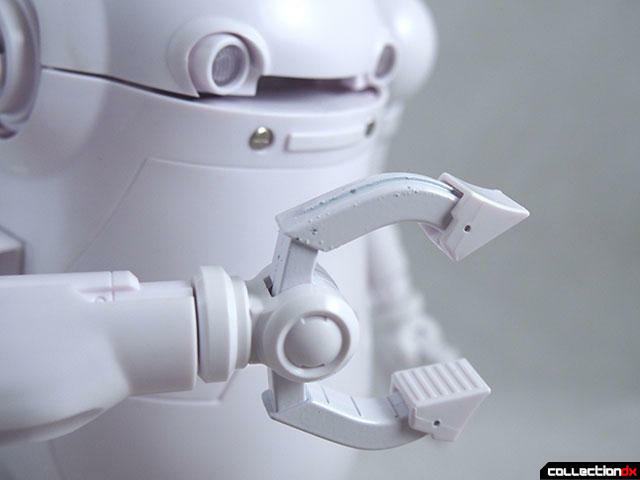 These hands feature painted diecast metal claws that can grip all sorts of things. I really like the texture of the ridged pads on the claws. Now, since there is a cockpit, you want someone to drive this thing, right? 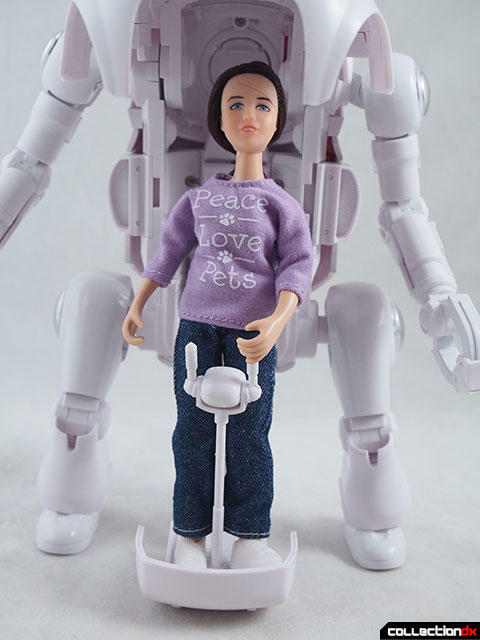 The WeGo is said to be in 1/12 scale, which is about Figma or Marvel Legends sized. There's no way either of these are fitting in the cockpit. 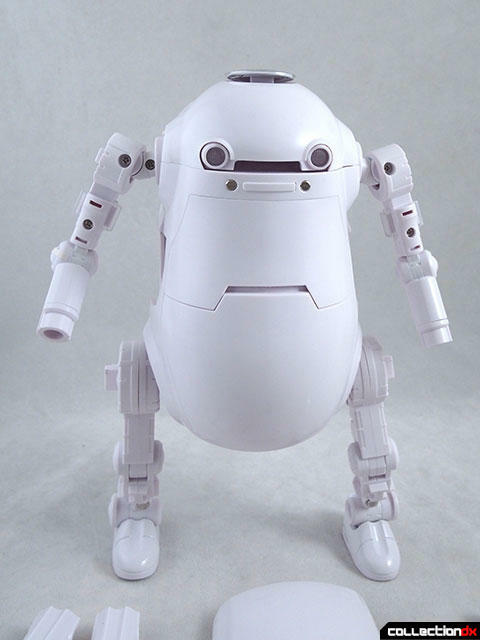 See, WeGo was designed to be driven by children, so you would need a child-sized 1/12 scale action figure to fit. Adults just can't drive the WeGo. 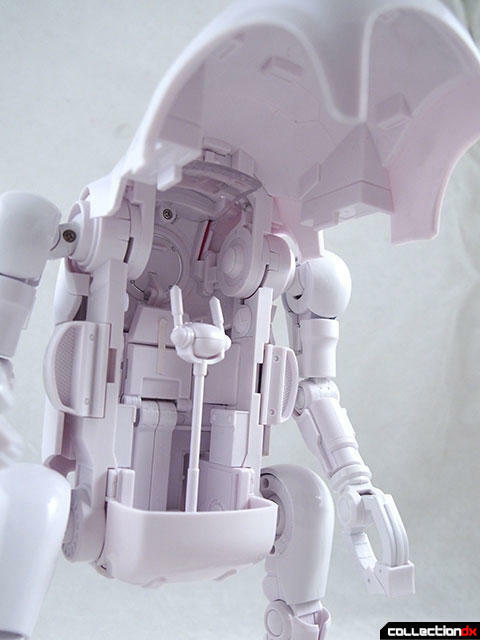 As a comparison, we tried fitting a 1/35 WeGo inside. We had no luck as it was too wide. I then went out and found a 1/12 Breyer pet groomer set, figuring the doll was supposed to be child sized. Nope. While it looked ok when closed, I had to really contort the figure to fit inside. I mean, it says 1/12 scale on the box! In the end, a standard 3 3/4" action figure was the best fit. 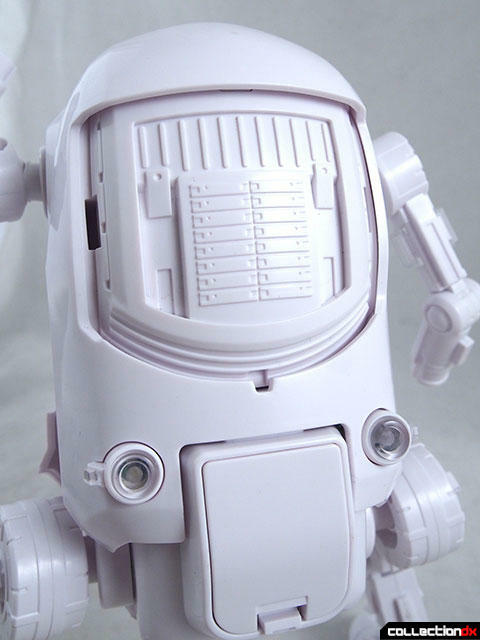 If you are interested in a blank version of the 1/12 WeGo, it is likely to be limited to event exclusives. However the regular teal color release is available for preorder now for 16,000 yen. The blank version is expected to be less expensive but price is TBD. 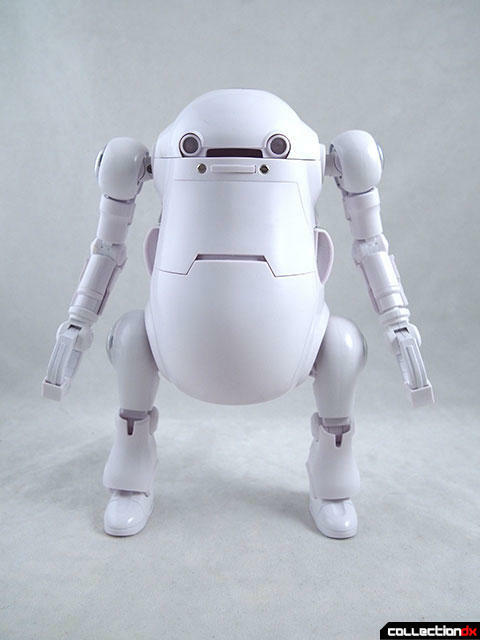 I have some figma that might fit in that. 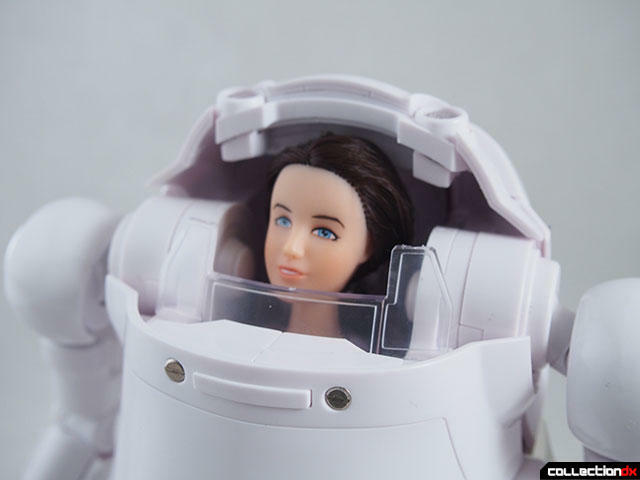 I want to think that some of the very small figmas, like maybe Henrietta or Iona, would work. I was thinking of Shinobu from the Monogatari series.